Each Sunday there is a message that seeks to apply the scriptures to our daily life. Our church offers tapes of our services free of charge. Call or email the church office (452-4370) to request a copy. Sermon Audio & Video can be found on the Sermon player" located below. 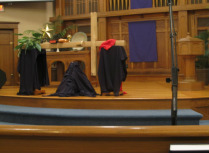 Sermon Videos can be seen on Vimeo at https://vimeo.com/channels/sundaysermons. 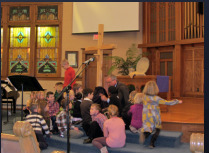 Sermon Videos can be viewed in a pop-up window on this page by clicking here. If you have any technical questions or feedback please contact the church office.